Green Cleaning provides health benefits for our customer employees, our cleaning employees and the environment. At Peterson, we start with low environmental impact cleaning chemicals and dispensing systems, including Green Seal certified bio-based chemicals. 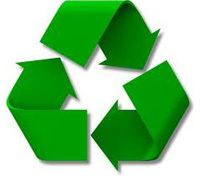 Peterson Cleaning, Inc. incorporates the practice of green purchasing, specific to the acquisition of recycled-content products, environmentally preferable products and services, bio-based products, non-corrosive, non-combustible, non-reactive, and non-poisonous products, products using renewable energy, recycled content, and alternatives to hazardous or toxic chemicals. Peterson Cleaning, Inc. utilizes low environmental impact cleaning equipment, including vacuum cleaners certified Green Label by the Carpet and Rug Institute, micro fiber technology, and carpet cleaning and hard floor equipment designed to minimize water and chemical usage, while reducing emissions and meeting EPA guidelines for post-consumer recycled content.